Don’t let the name fool you – best WordPress page builders aren’t just tools for building pages anymore, they’re also tools for building entire custom websites using WordPress. You’ll find a huge number of custom sites built using page builders. Heck, you’re looking at one right now! WPLift is, in good part, powered by the popular Elementor page builder. But if you want to use your favorite page builder to build an entire website, you’re still going to need the right theme powering everything that’s happening beneath the hood. To help you find such a theme, I’ve collected 5 of the best themes to pair with page builders. All of these themes are lightweight, flexible, and built to customize. They should work great with Elementor, Beaver Builder, Divi Builder (check Divi theme examples), Thrive Architect, or any other WordPress page builder. We’ve also reviewed all of these themes in more depth here at WPLift, so I’ll make sure to link to our reviews so that you can learn even more about each theme. What Makes A Theme Good To Pair With A Page Builder? While page builders are great for designing the actual content on your site, most of them still can’t handle designing other areas of your site like headers, footers, and sidebars (at least not without extensions). Additionally, in order to use a page builder to design a full page, you need the option to create full-width containers and disable certain page elements (like a page title, for example). These themes remedy those problems by providing a performance-optimized base theme that allows you to easily customize those “non-content” areas, as well as providing detailed options to disable specific page elements (like a page title) so that you can more easily use one of best WordPress landing page plugins. GeneratePress has to be number one on this list because, not only is it popular, it’s also the theme we use here at WPLift (again, paired with Elementor). One of the reasons GeneratePress is so awesome is because it’s fast. It’s exceptionally lightweight and, while the Premium version does add plenty of functionality, it’s all modular so that you can pick and choose only those features you truly want. So beyond performance, what makes GeneratePress such a good base theme for page builders? 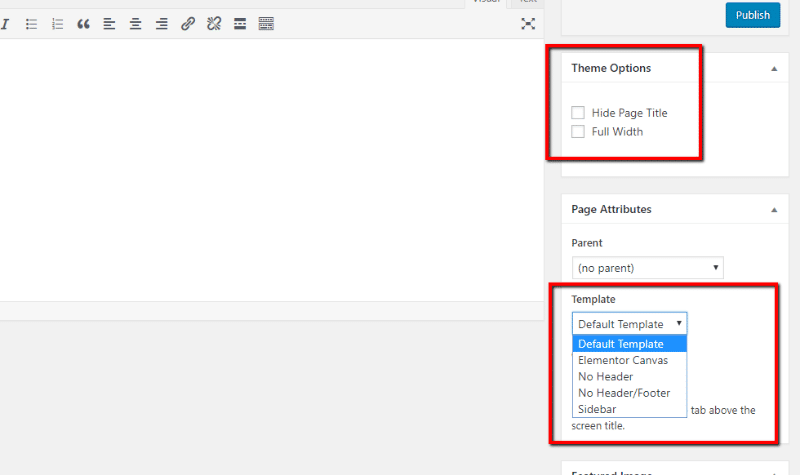 First, you can use the WordPress Customizer to customize the entire header area, which is one part most page builders can’t touch without workarounds. And it also includes tons of hooks so that you can customize things further. 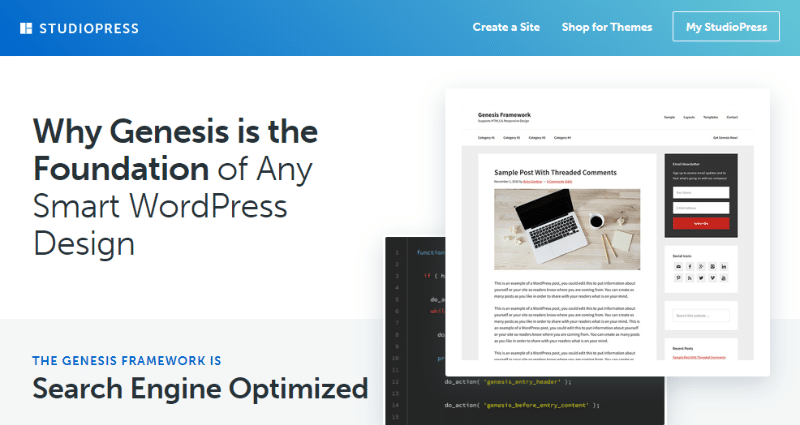 But where GeneratePress really shines is that it gives you the power to customize the layout of every single post or page on an individual basis. Basically, these settings let you build designs on a completely blank canvas, your regular site design, or anything in between. Overall, GeneratePress is a great option to pair with any page builder – just look around this site to see what it can do! And if you want more information, give our GeneratePress review a read. Astra is another popular, performance-oriented theme that people often pair with page builders. It’s developed by Brainstorm Force, which is the same team that develops a number of popular add-ons for Beaver Builder, Elementor, and more. Point being – these guys know what page builder users want in a theme. One thing that makes Astra even nicer is that it comes with a library of pre-built sites that are built on popular page builders (though these are only available in the top-tier $249 Agency Bundle). You can quickly import any of those sites to Astra and then customize them using your page builder of choice. Currently, Astra supports pre-built templates for both Beaver Builder and Elementor. If you’re a fan of the templates, that might be a reason to choose Astra over GeneratePress. For more information, check out our entire Astra theme review. If there were a holy trinity of themes to use with page builders, it would probably be the first two on the list plus OceanWP. Like those other two themes, OceanWP provides the performance-focused canvas for you to place your page builder designs. OceanWP also includes a bunch of pre-built demos that are created using Elementor. You can import any of these demos, including demo content, widgets, and customizer settings, via the free Ocean Demo Import plugin. Where OceanWP takes a bit of a departure from the previous themes is that its add-ons offer a little more in the way of advanced frontend functionality. For a deeper look at OceanWP, check out our OceanWP review. Price: Free version listed at WordPress.org. A bundle with all extensions/Pro demos starts at $39. As you can probably guess from the name, Page Builder Framework markets itself exclusively as a starter theme for people using page builders. Like the others, it loads quickly, provides lots of helpful page settings, and uses the WordPress Customizer for changes to important areas of your theme. One neat thing is that it includes a built-in child theme generator, which makes for easy white labeling, especially if you’re already using a page builder with white labeling functionality (like Beaver Builder). For a deeper look at Page Builder Framework, check out my Page Builder Framework review. Unlike Astra, OceanWP, and Page Builder Framework, Genesis doesn’t market itself specifically as a theme to use with page builders. But the Genesis framework is still well-suited to pairing with a page builder and some page builders even have special integrations with Genesis. For example, the Beaver Themer add-on for Beaver Builder comes with built-in support for Genesis. The difference, in comparison to the other themes, is that you usually build a site using one of the many pre-built Genesis child themes, rather than a blank canvas. If you’re looking for a true blank foundation to use your page builder on, you’re probably better off sticking with one of the previous four themes. But if you like the look of one of the Genesis child themes as a base layer, Genesis will definitely play nice with your favorite page builder. For more information, check out my detailed Genesis framework review. Which Of These Themes Should You Choose? Honestly, I don’t think you’ll go wrong with any of these. At a basic level, they all provide fairly similar functionality. I do encourage you to consider your specific needs because there are some more niche differences between the themes. For example, GeneratePress gives you the option of using two sidebars, while most of the other themes limit you to one. But I don’t think any of those differences are big enough to definitively declare one of these the overall winner. Personally, my two favorites are GeneratePress and Astra, but, excluding Genesis, all of these themes have free versions, so you can play around with them and pick the one you like best! Know another great theme to pair with page builders? Share it in the comments! Great to see more page builder-centric themes in the market. I like the white-label feature in Page Builder Framework. 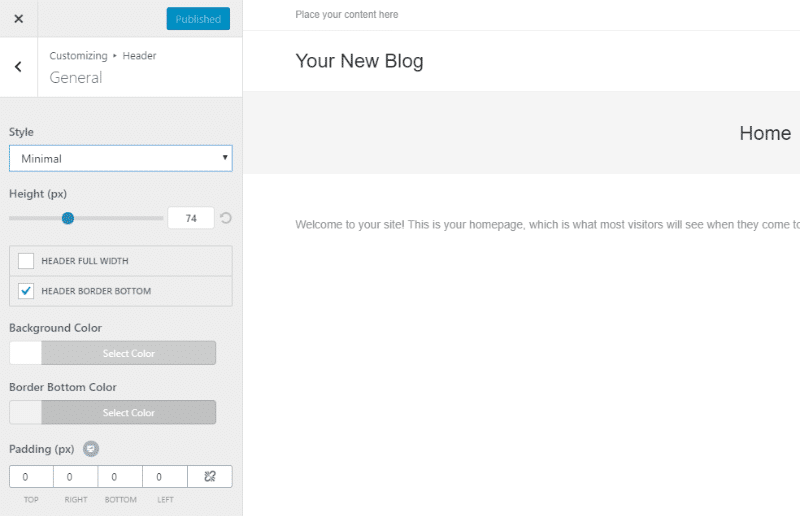 Also nice that the themes use the WordPress Customizer, which is quite enjoyable to work with. I use Generate Press…..and am a complete novice when it comes to website design. Their customer support is awesome, even when I ask crazy questions. And, the experts tell me the coding is great.